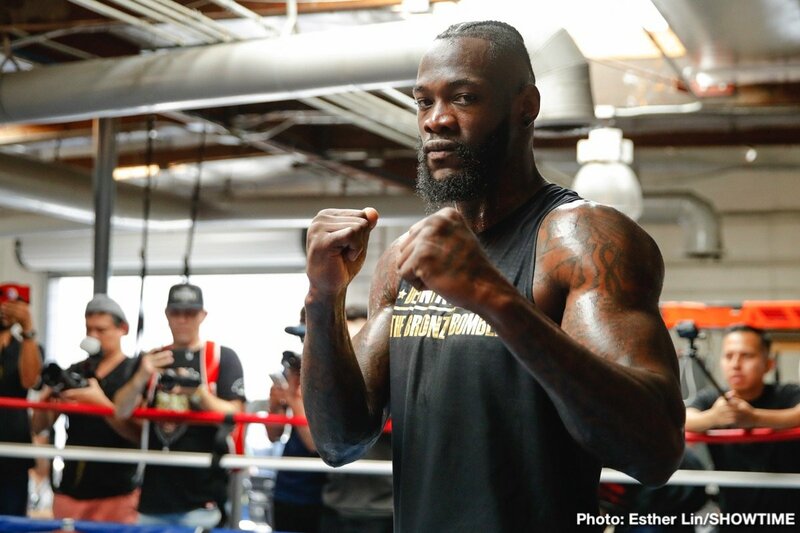 Fans know they will not get the return fight between Deontay Wilder and Tyson Fury on May 18th as was initially the plan until Fury signed a massive deal with Top Rank/ESPN, but Wilder will keep the date. As per a news story from RingTV.com, the reigning WBC heavyweight champ will fight at The Barclays Centre, New York on May 18, the fight to go out on Showtime, the network having shown all of Wilder’s big fights. For Breazeale, the Wilder/Fury rematch falling through (for now at least, hopefully not permanently) was a good thing, in that he is now so close to getting the big fight he has craved ever since that well-documented altercation Breazeale and members of his family had with Wilder in the hotel lobby after their respective fights in Birmingham back in February of 2017. And who knows, maybe Wilder Vs. Breazeale will turn out to be a good and exciting fight if it does indeed happen. Breazeale, 20-1(18) is big, he can punch and in his sole pro loss, to Anthony Joshua in June of 2016, “Trouble” showed a good chin, soaking up a number of hard shots before being stopped. If Breazeale can take Wilder’s shots – and of course that’s a pretty big if – Wilder might find he has a real handful of trouble in May. It’s not the big fight we wanted or were looking forward to, but Wilder/Breazeale doesn’t figure to be a dull encounter. We WILL see a KO in New York on May 18th, one way or the other.